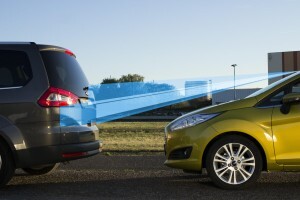 Ford has revealed details of its impressive new system to help drivers avoid low speed collisions – the Active City Stop. In the time it takes to blink, a sophisticated sensor captures 15 images, calculates whether traffic is slowing or has stopped, and applies the brakes automatically if it determines a collision is imminent. This will be a big bonus for many drivers! Essentially, Active City Stop can help prevent collisions at speeds of up to 10mph and help to mitigate the effects of impacts at speeds below 20mph. It’s highly likely too that insurance companies will look favourably on the system and include premium discounts for it. Active City Stop uses a sophisticated light-detecting and ranging sensor to scan the road ahead 50 times every second – more than twice the speed of the movie industry standard frame rate – to help prevent collisions at speeds up to 10mph, and help reduce the severity of impacts at speeds below 20mph. Each year more than half-a-million people are injured in car crashes in the UK, France, Germany, Italy and Spain alone. Of these, approximately one-in-eight are hurt in rear-end shunts, the type that Active City Stop can reduce in severity or avoid altogether. Active City Stop constantly monitors the gap to vehicles in front, calculates the risk of hitting a stationary or slow-moving object and pre-charges the new Fiesta’s brake system to deliver maximum braking response. If the driver does not respond, either by braking or evasive steering, the system simultaneously applies the brakes, reduces engine torque, and activates the rear hazard lights. First launched on new Ford Focus and ordered by nearly 5,000 UK customers to date, Active City Stop is already available on Ford C-MAX, Grand C-MAX and the new Ford B-MAX. Active City Stop is offered as part of an optional Driver Assistance Pack on the Fiesta which also includes rear parking sensors and powerfold mirrors. It costs from £250. The Ford Fiesta is a great car to drive – why not lease one? This entry was posted in News and Views and tagged Active City Stop, caption, car, ford, ford b-max, Ford Fiesta, ford focus, France, Germany, insurance companies, Italy, LS, New Ford, Parking Sensors, Spain, speed, UK by Steve Lumley. Bookmark the permalink.